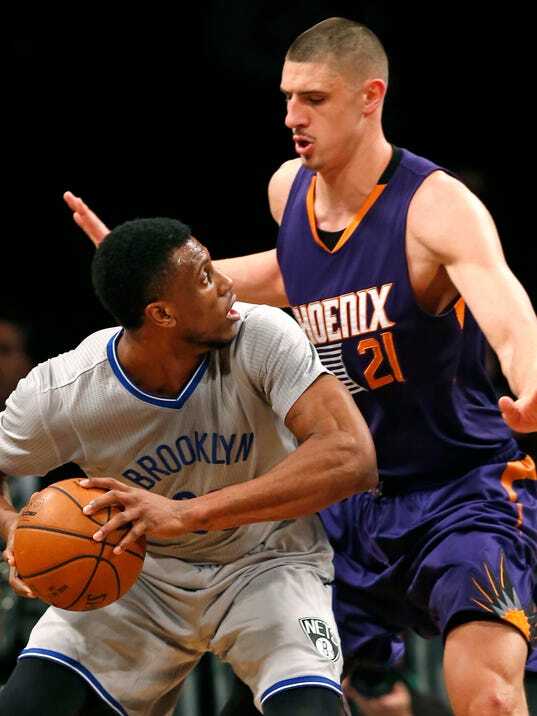 NEW YORK (AP) — Brook Lopez scored 23 points and the Brooklyn Nets beat the Phoenix Suns 94-91 on Tuesday night for their fourth straight home victory. Brooklyn reserves Shane Larkin and Wayne Ellington each had 11 points and both made a basket in the brief flurry that helped the Nets win consecutive games for the first time this season. Jarrett Jack also scored 11 and added eight assists. Brandon Knight scored 26 points and Eric Bledsoe had 17 for the Suns, who had a long dry spell from the field in the fourth quarter after leading by nine earlier in the period, then botched their final possession trailing by three with 4 seconds remaining. The Suns fell to 1-1 on their six-game road trip. Lopez made all five shots and scored 11 points when the Nets built a big second-quarter lead, and they outplayed the Suns down the stretch.